You cannot book a stay in or around London, without treating yourself to a West End show. The entertainment district around Leicester Square and Covent Garden is known for being a buzzing hive of colour, sound and top West End theatres. 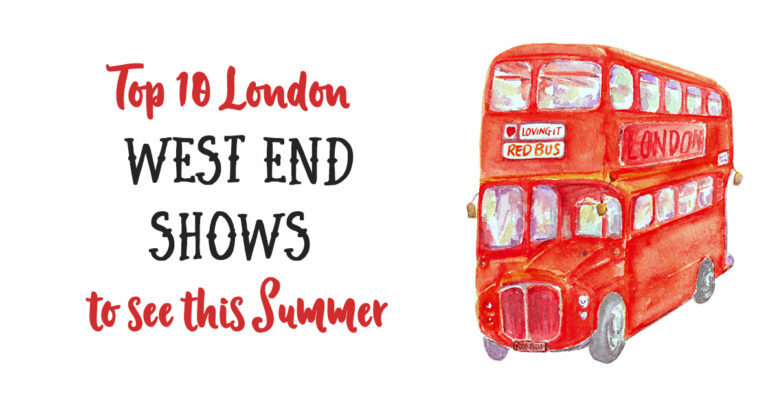 Here’s our rundown of the top 10 things to see this summer, in London’s West End. This smash hit musical is celebrating its 20th Anniversary this year. If you haven’t seen it yet, you’re in for a treat. It’s the ultimate in feel-good music and quality performances. With a huge choice of available dates, you’re sure to find one to suit your diary. New for this year, Only Fools and Horses – the musical, is another feel-good celebration. This time, it’s a musical that celebrates traditional working-class London and the desire to find more in your life. Showing in the Theatre Royal Haymarket, until the end of August, book now to see a new musical that’s bound to be a long-term hit. Featuring an iconic score, this Broadway hit is making a limited West End run. Ensure you book a place now, as it’s only running at the Playhouse Theatre until the 28th of September. Based on an original J.K. Rowling new story, this two-part play can be seen on consecutive nights or as same-day performances. Winner of an incredible nine Olivier awards, it’s showing at the Palace Theatre until January 2020. This funny and smart, award-winning play starring Alex Kingston and Sarah Hadland, is being shown at Trafalgar Studio 1. Tickets are available until the end of April. Is she the ‘dark lady’ of Shakespeare’s sonnets? Why was her story erased from history? This trailblazing show is being shown at the Vaudeville Theatre and tickets are currently available until the 2nd of May. Premiering at The Adelphi Theatre this year, this Broadway hit stars Katharine McPhee and, in a West End musical first, has an all-female creative team. Funny, fabulous and a brand new musical, Everybody’s talking about Jamie will sweep you away with its feel-good factor and catchy songs. It’s showing at the Apollo Theatre in London’s West End until January 2020. This brand new musical tells the story of Gloria and Emilio Estefan and features some great music. Making its premier at the London Coliseum in June 2019. With an extended tour that takes it to the end of August, Hamilton is a must-see performance for London’s West End. Being shown at the Victoria Palace Theatre, it’s operating a paperless ticketing system, with a strict 6 tickets per person limit. For further information on all performances at London’s West End, as well as booking information for the above shows, please go to the Ticketmaster website – you will find it here. Tags:West End shows, West End theatre.